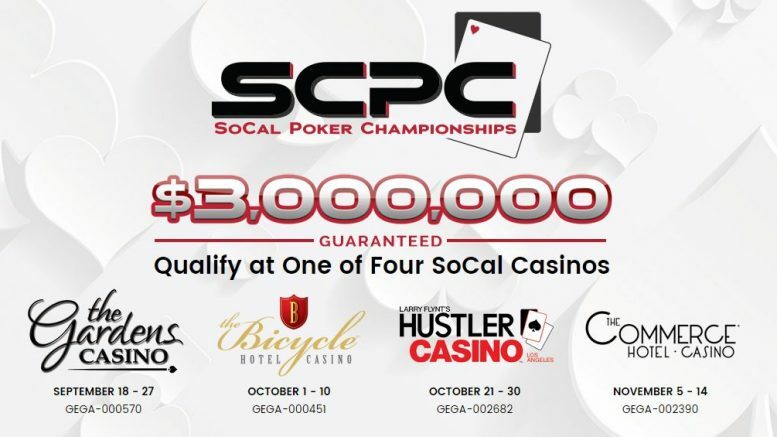 The SoCal Poker Championships has released their schedule for this year opening on September 18-27 at the Gardens Casino. Next up is the Bicycle Hotel & Casino from October 1-10. Then it’s the Hustler Casino from October 21-30 and finally, November 5-14 at the Commerce Hotel & Casino. Be the first to comment on "SCPC Schedule Released"